Valentine is arriving! Have you already thought about something sweet and romantic to treat your big love with? If you don’t have any inspiration, don’t panic. 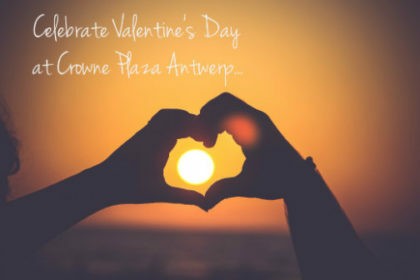 Because we have an idea: why don’t you come over to Crowne Plaza Antwerp on 14 February to enjoy our delicious Valentine’s Day dinner in our cosy ANNA Living & Bar? Of course singles are welcome as well!